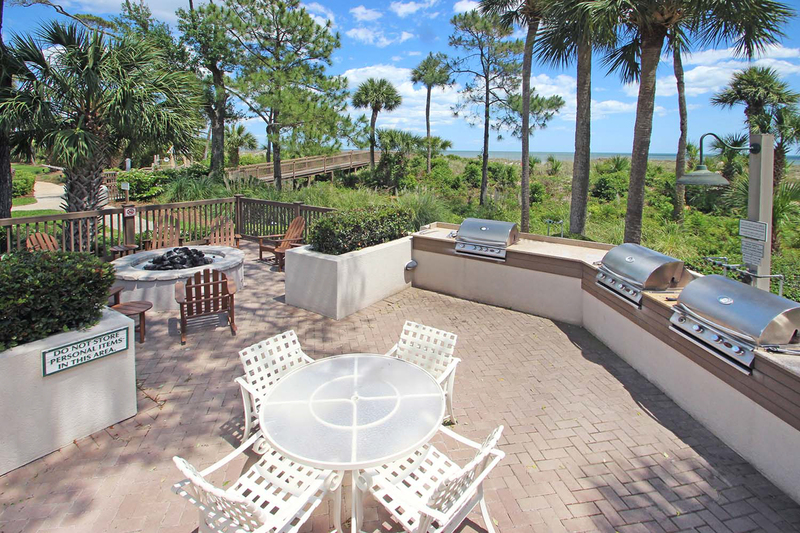 This fourth floor villa in Windsor offers beautiful views from the living room and both bedrooms of the grounds, pool, lagoon, and ocean beyond. 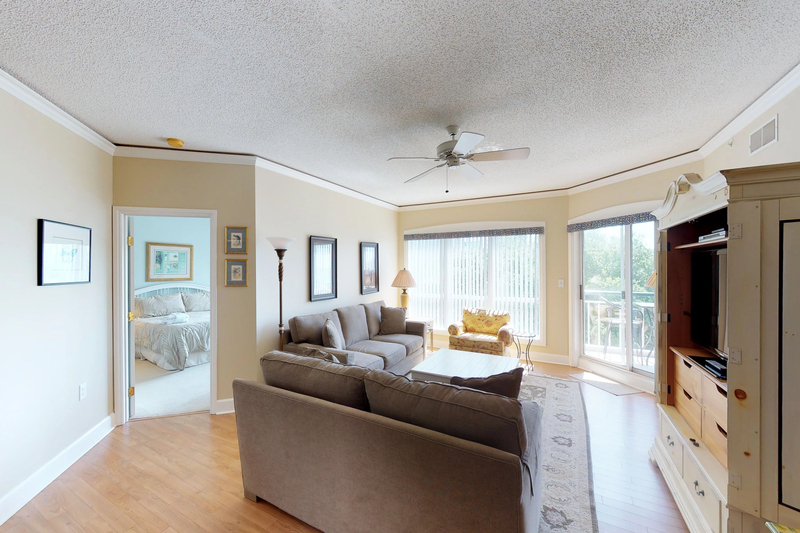 The balcony is accessible from both the living room and guest room. 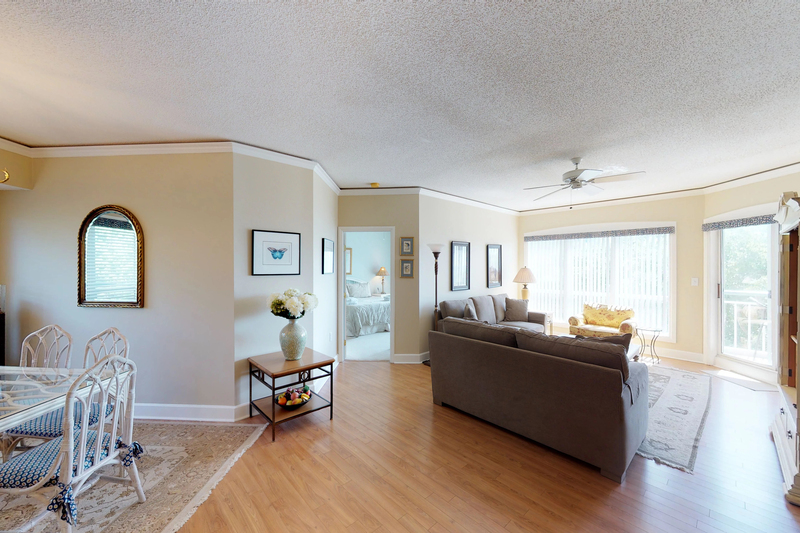 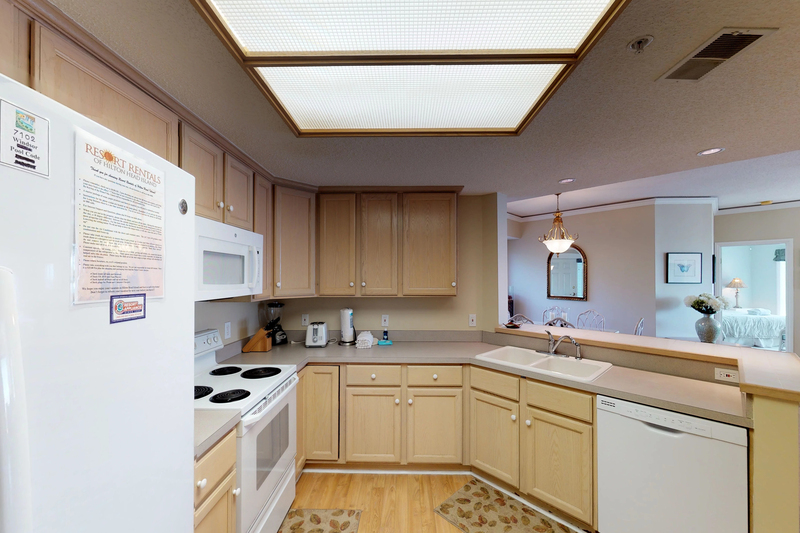 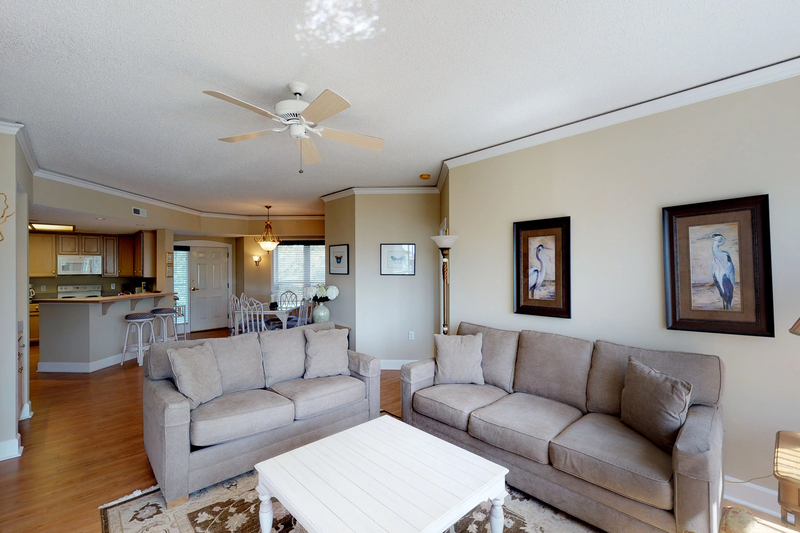 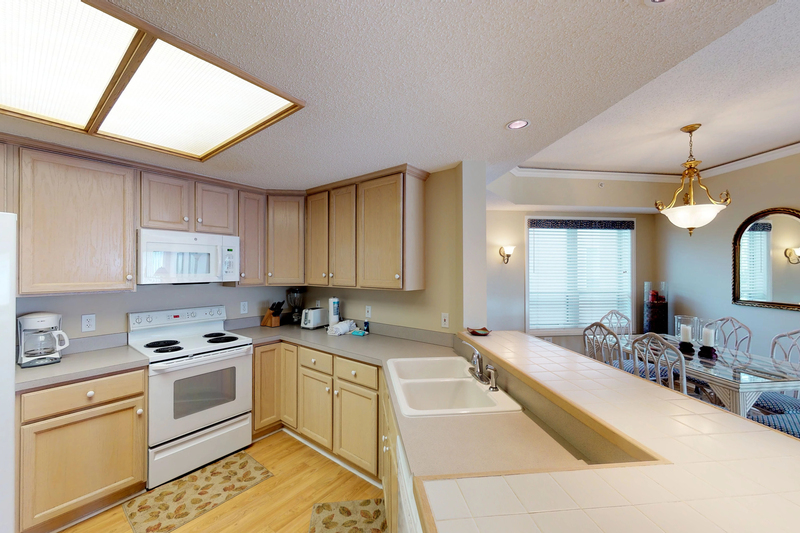 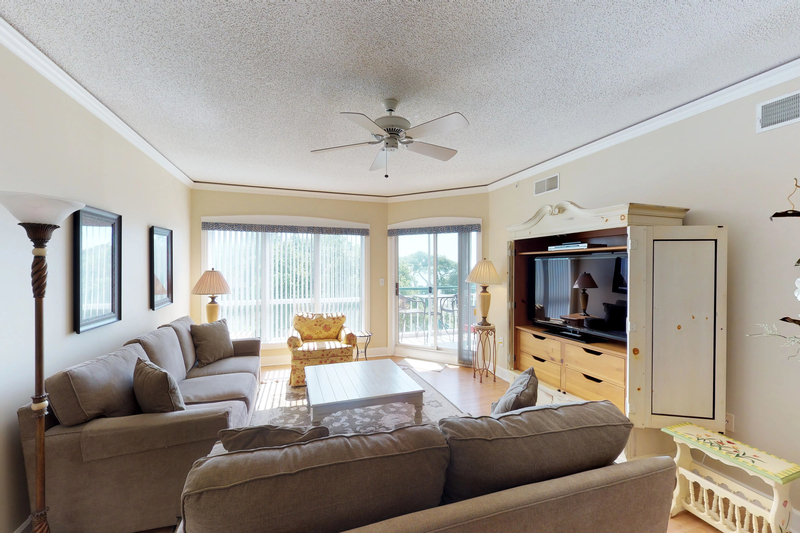 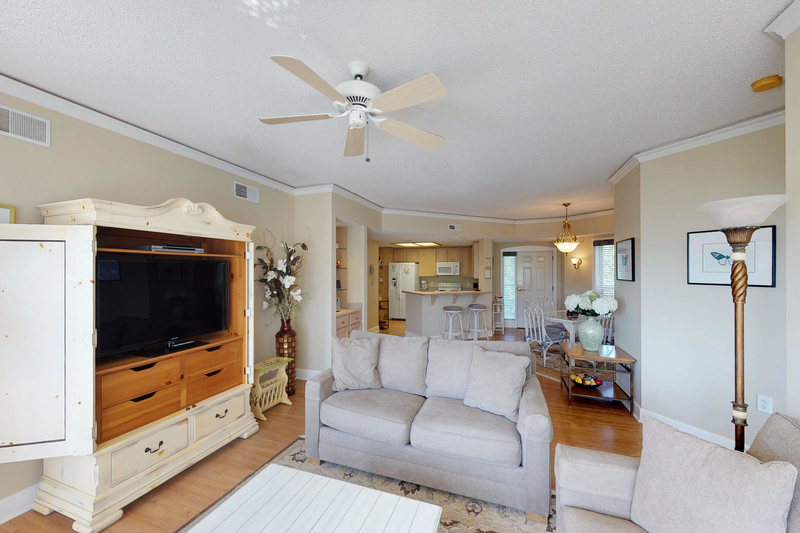 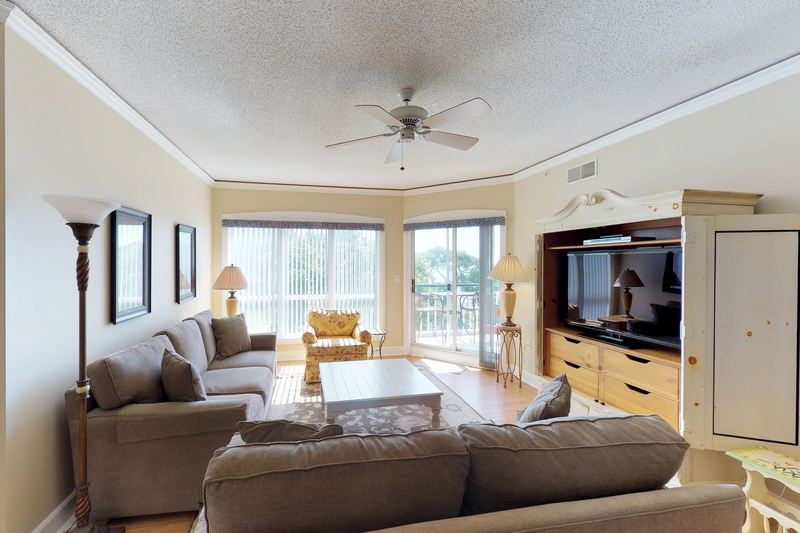 The living room has a 46" flat screen TV with DVD/VCR, stereo, and sleeper sofa for additional accommodations. 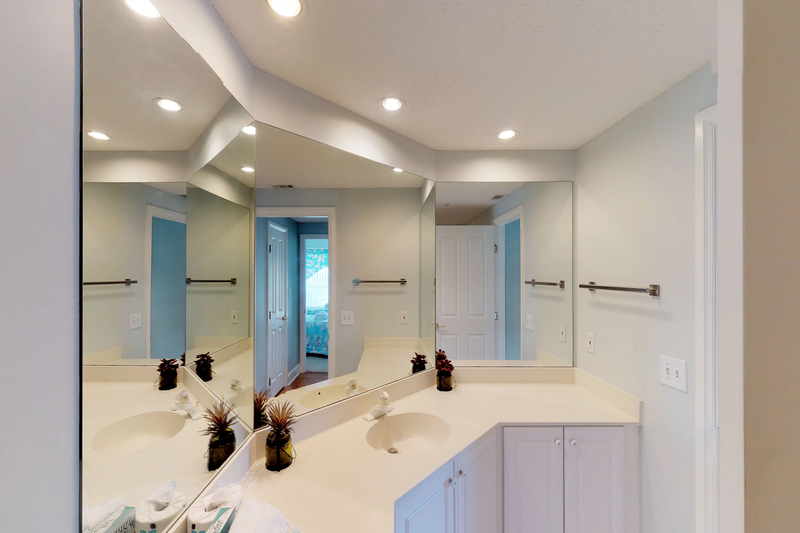 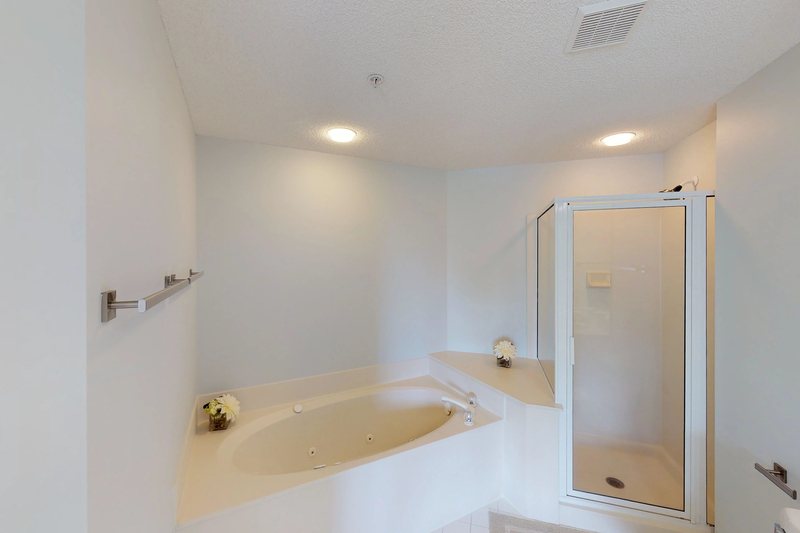 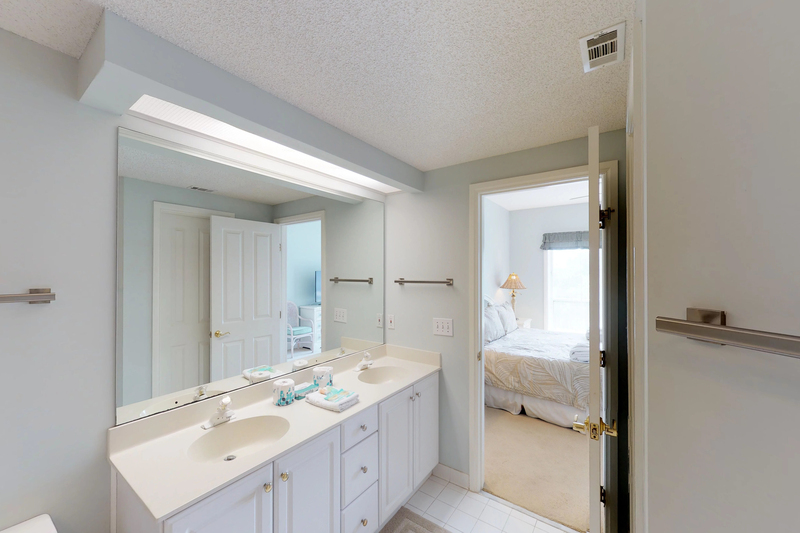 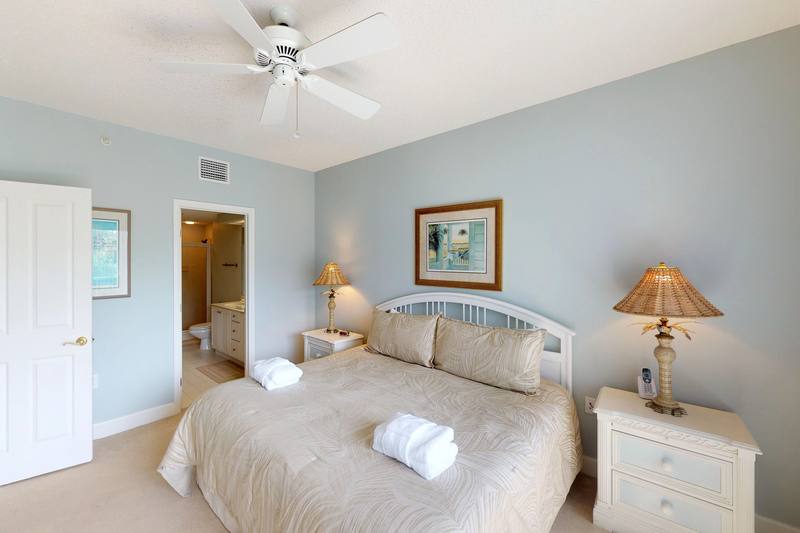 The master bedroom features a king bed, 32" flat screen TV, and a private bath with Jacuzzi tub and separate walk-in shower. 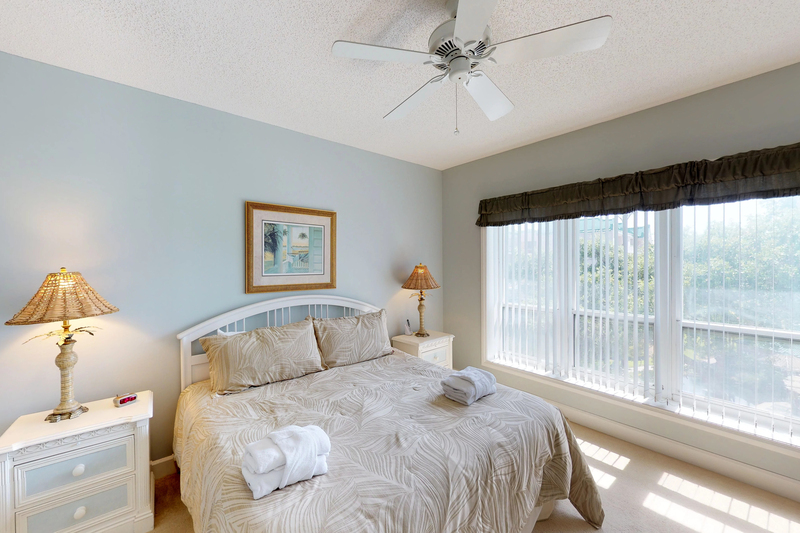 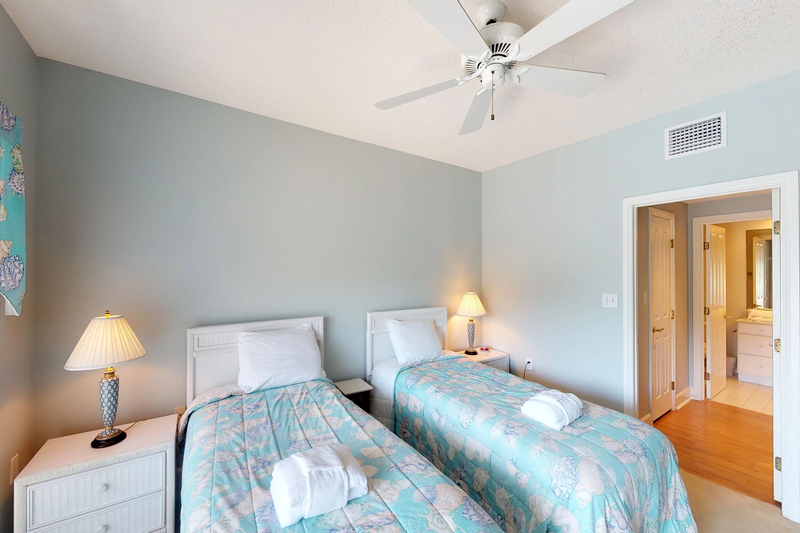 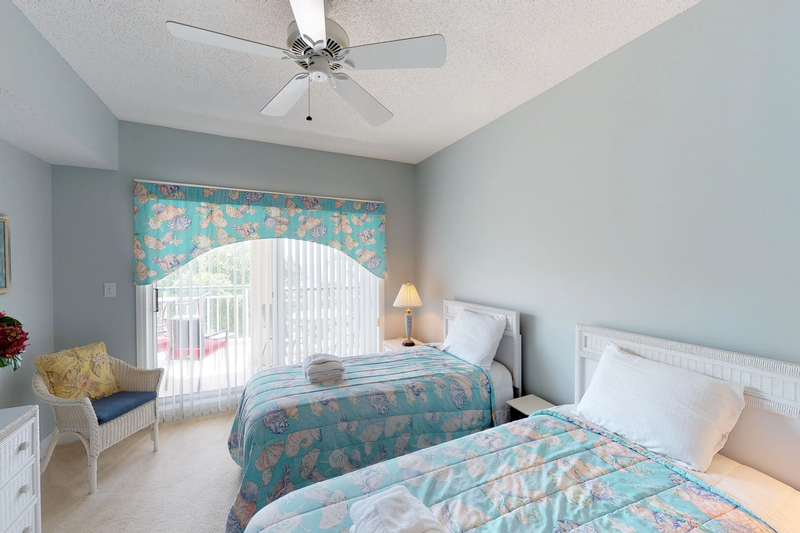 The guest bedroom has two twin beds and 26" flat screen TV, with access to the hall bath. 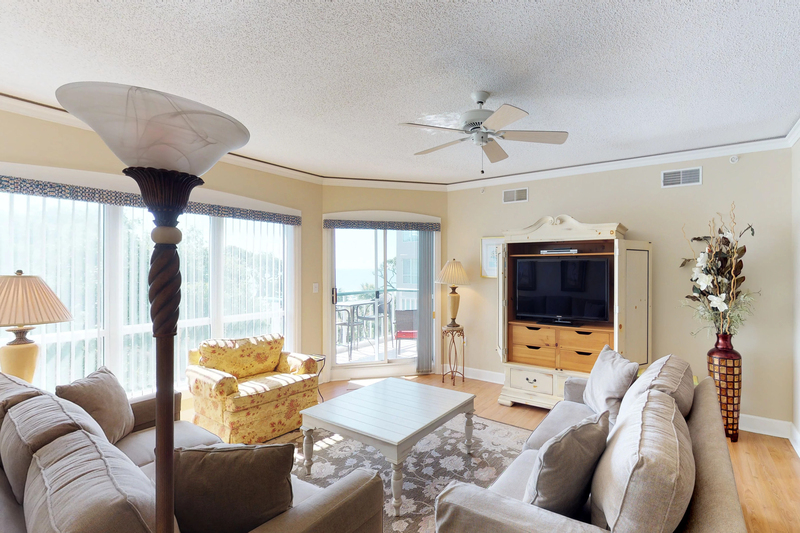 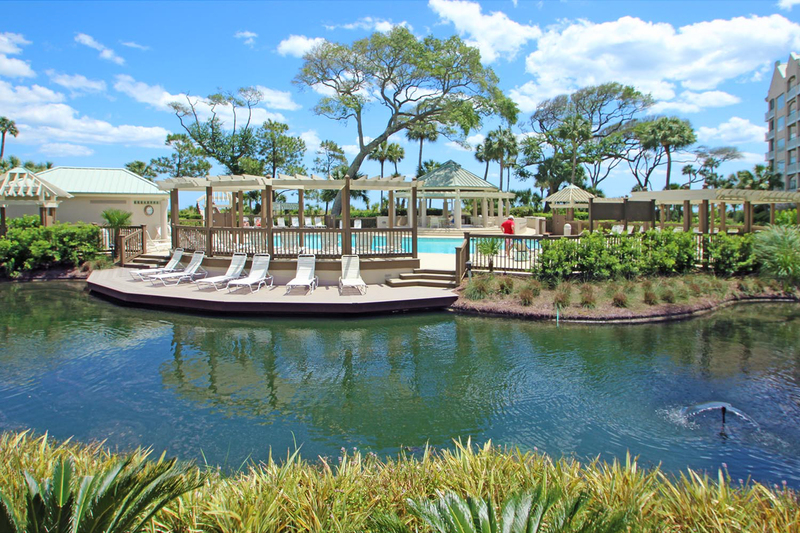 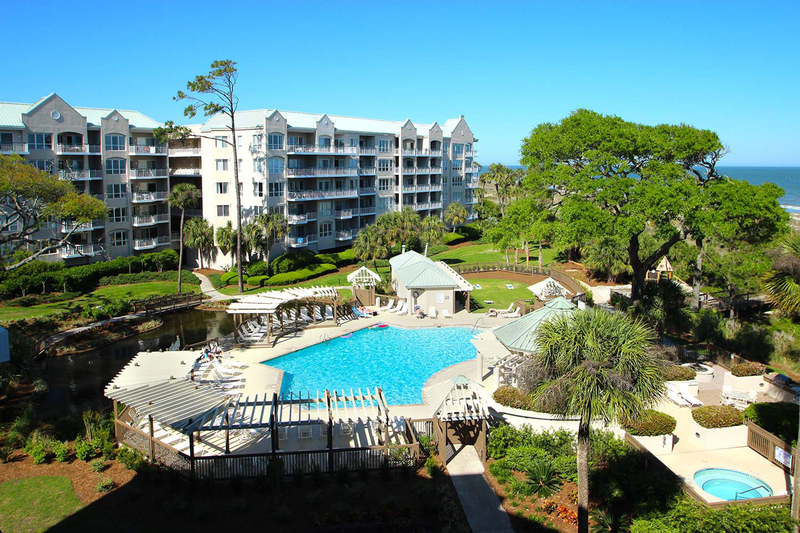 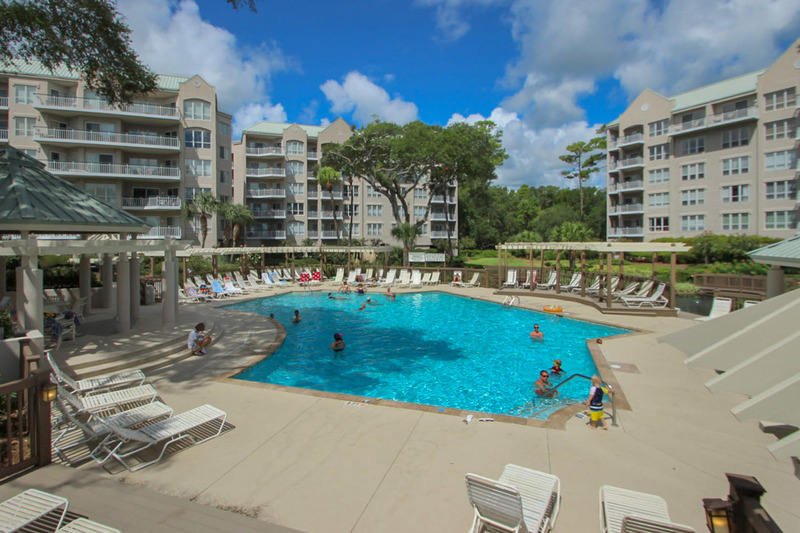 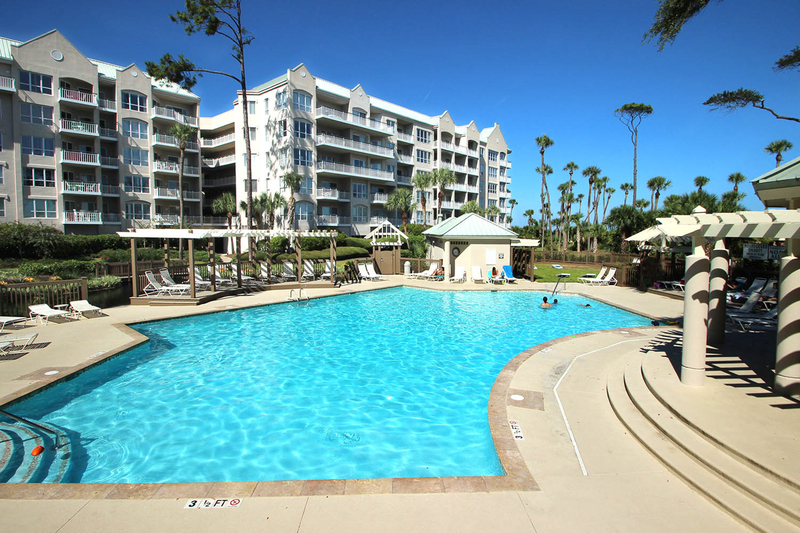 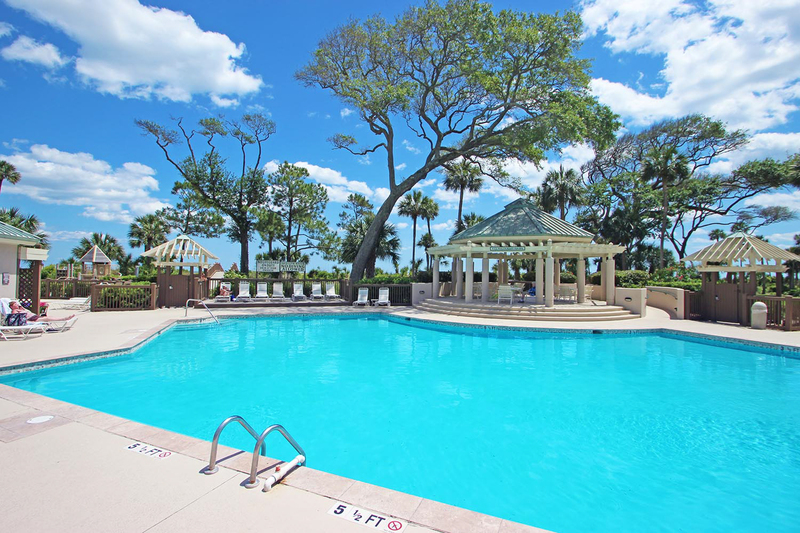 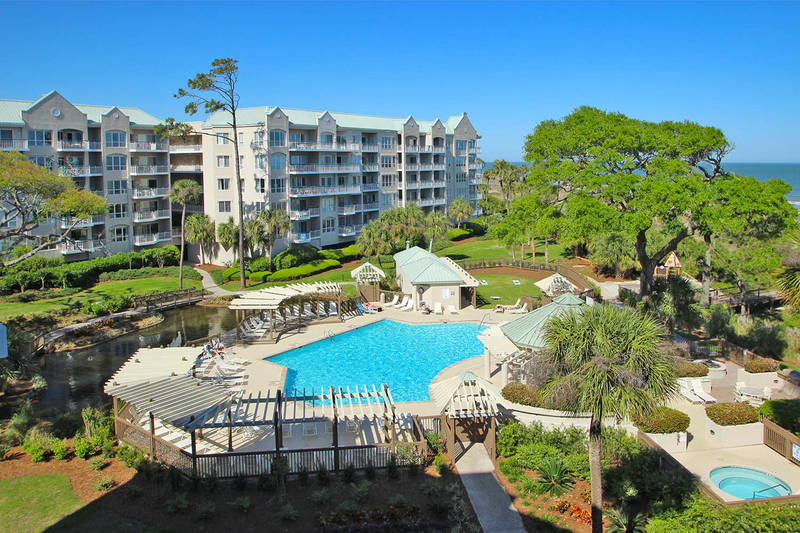 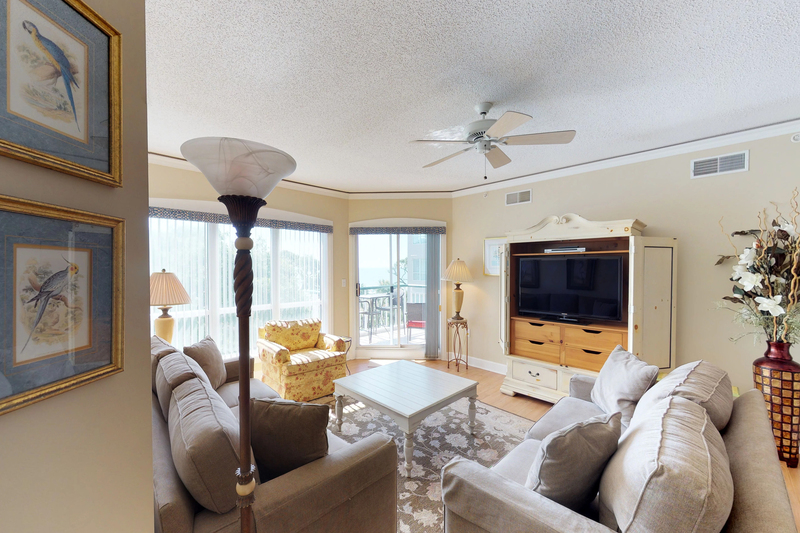 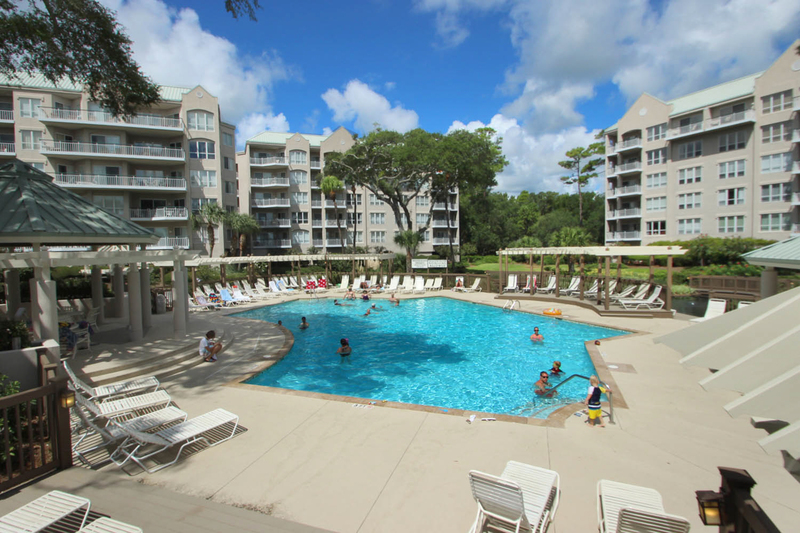 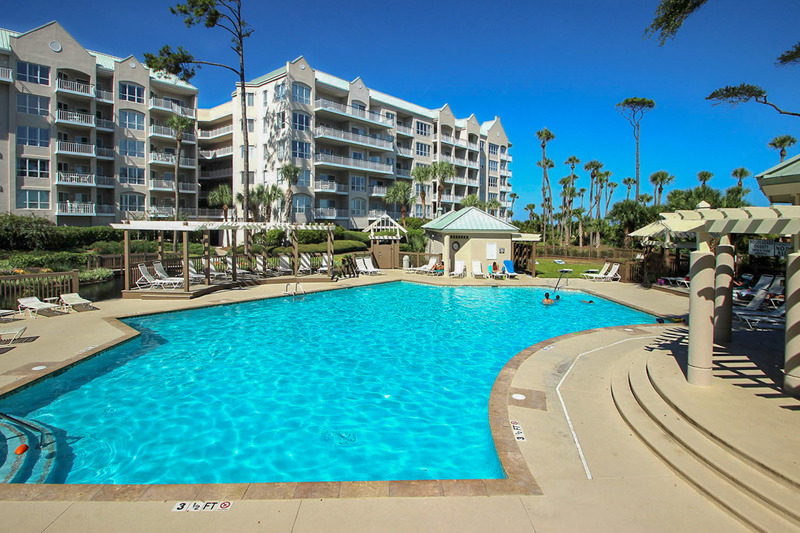 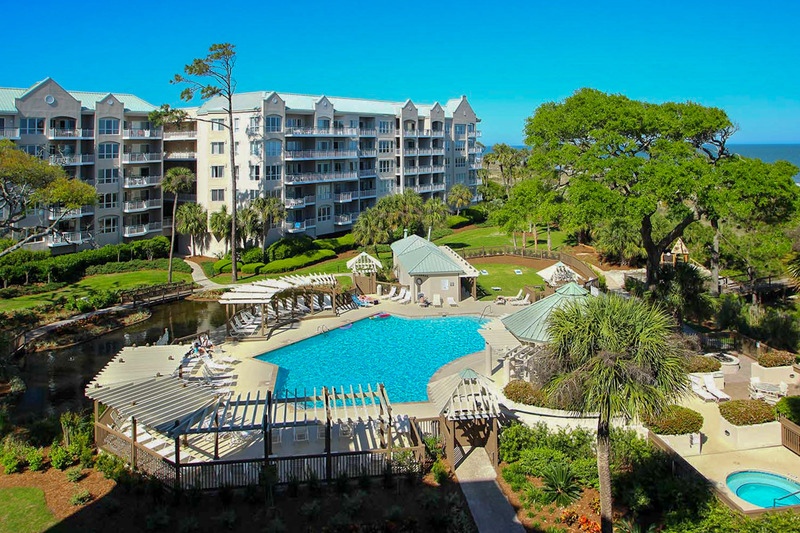 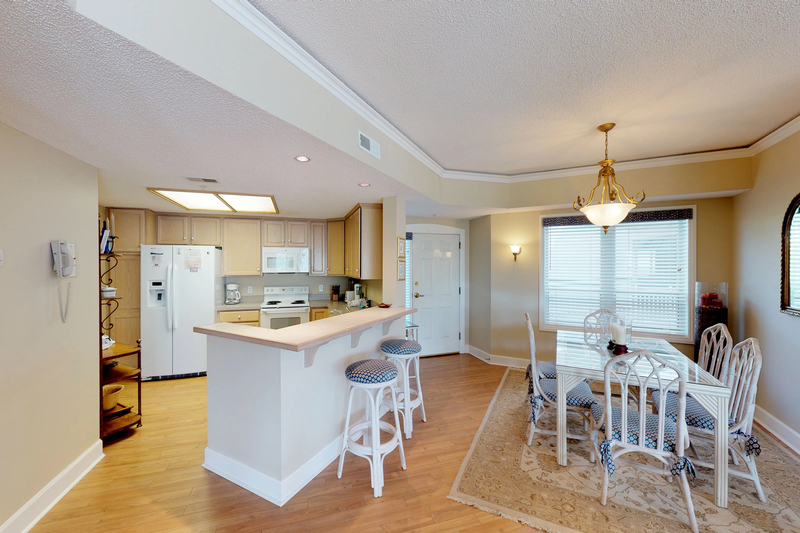 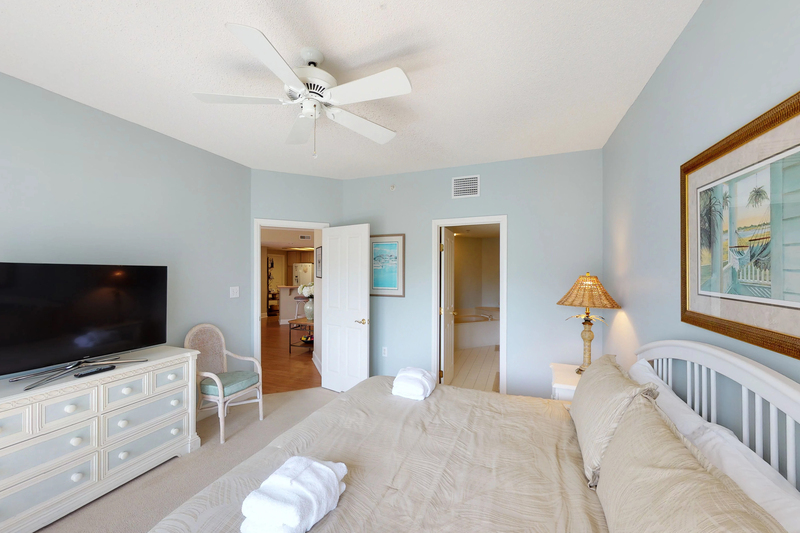 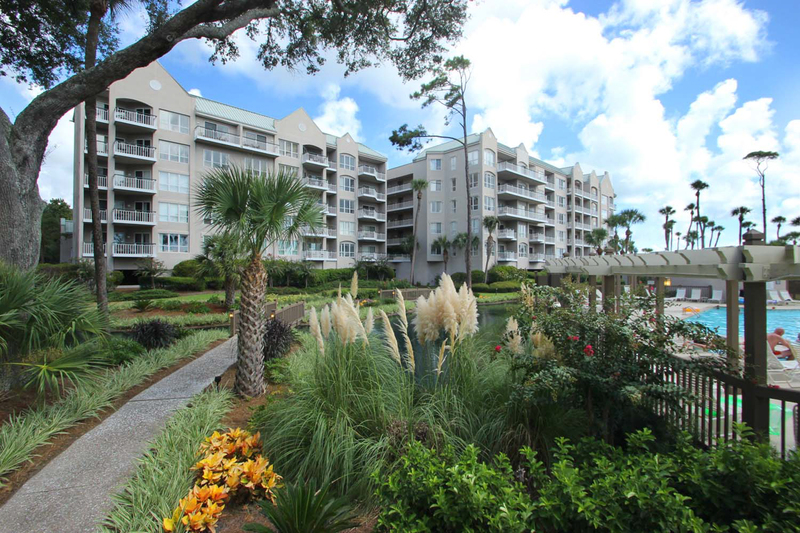 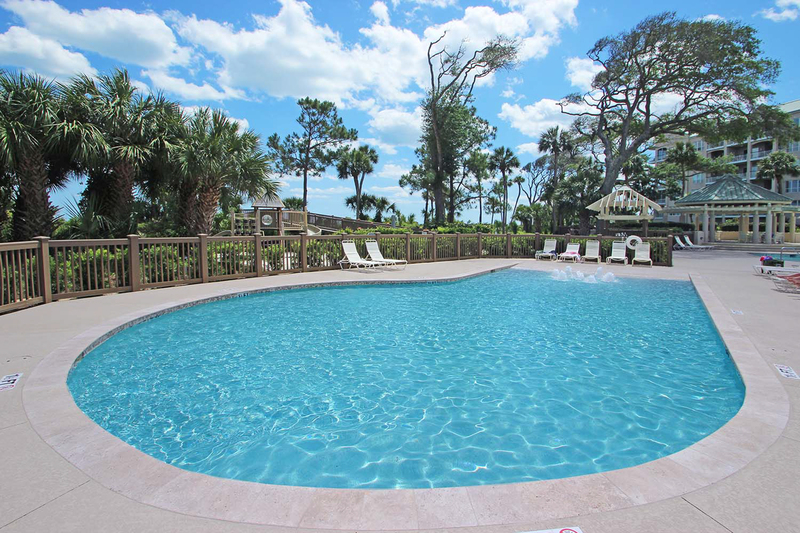 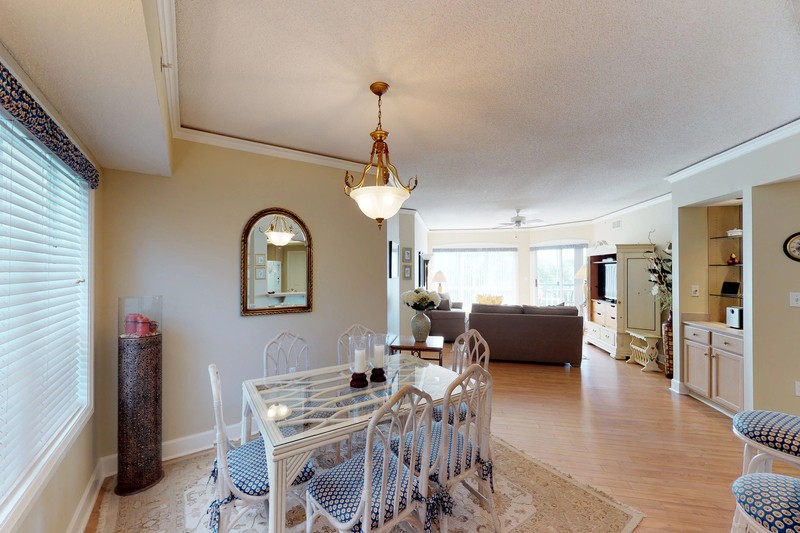 Among the finest oceanfront accommodations in Palmetto Dunes Resort, this secluded Windsor villa complex stretches along the Atlantic beaches and is surrounded by lushly landscaped gardens, lagoons, fountains, and native trees. 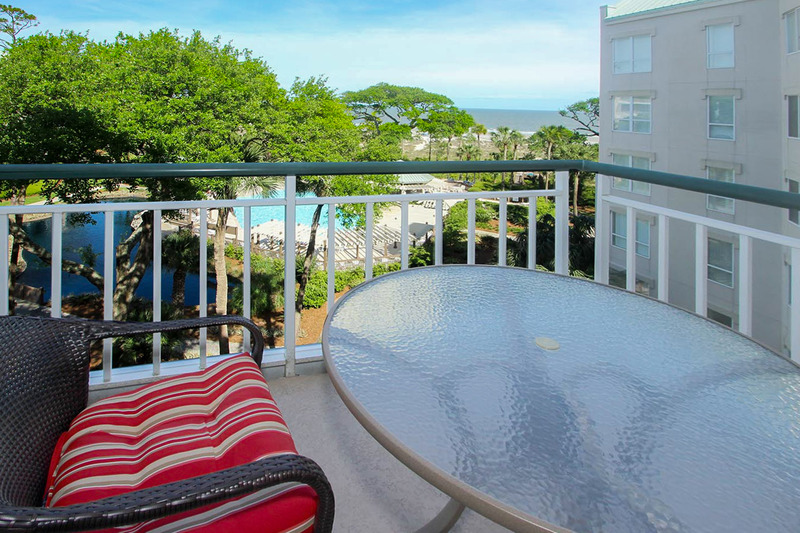 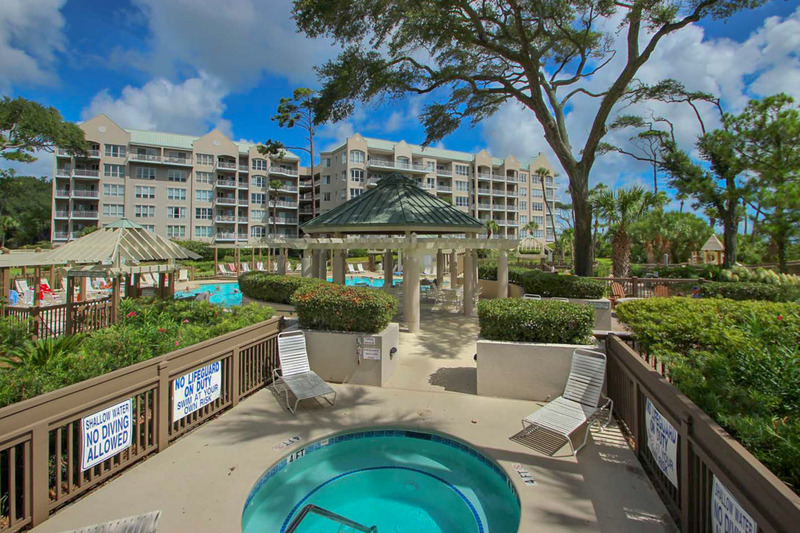 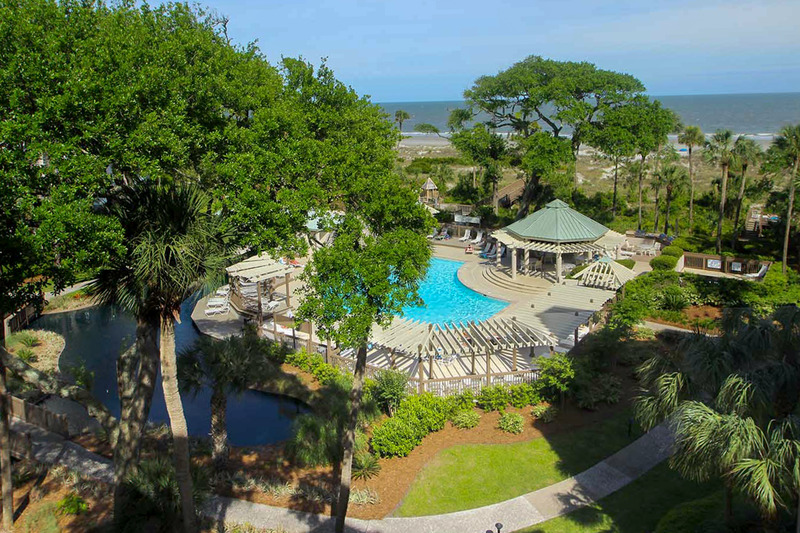 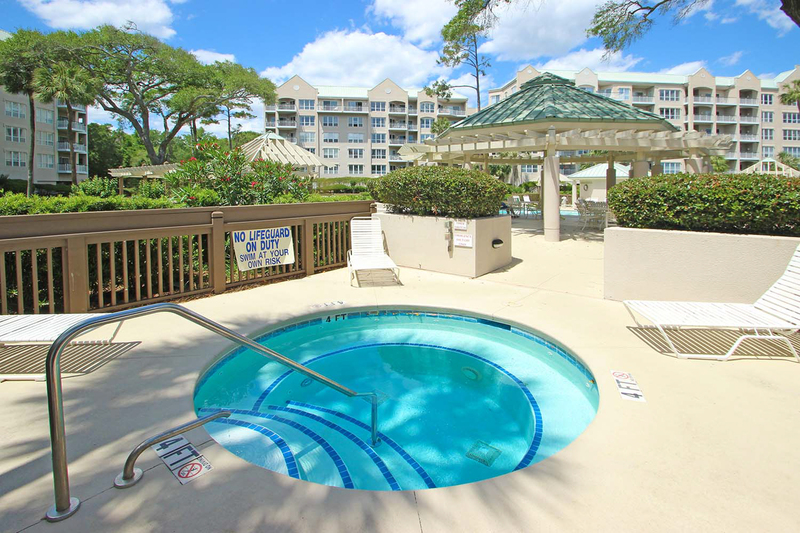 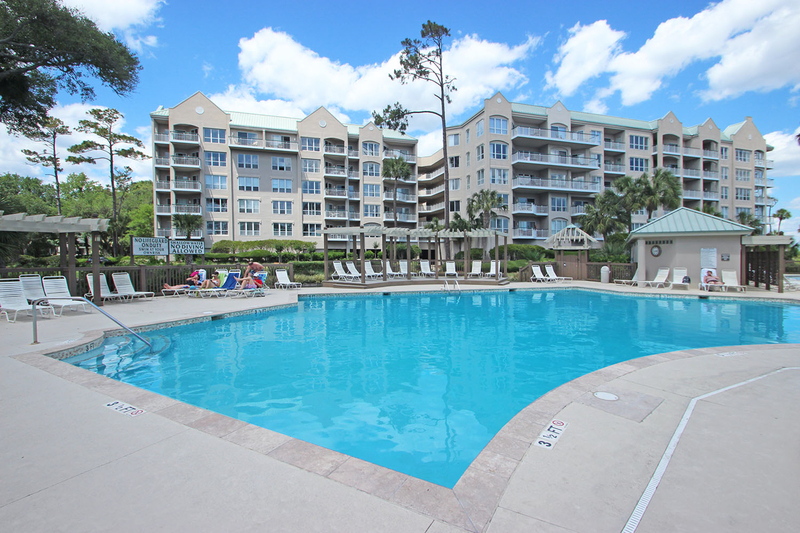 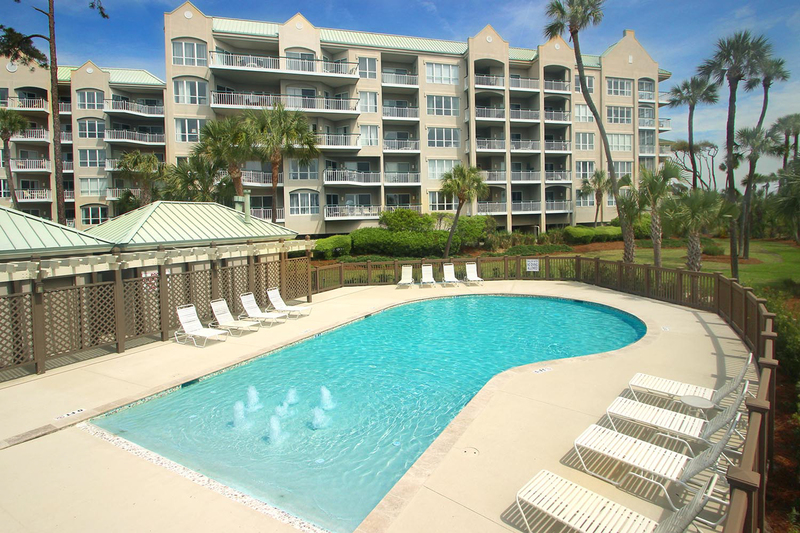 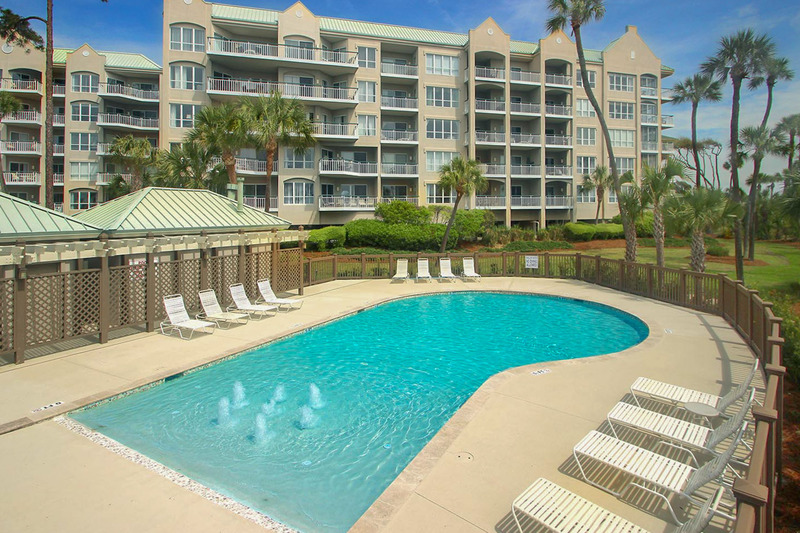 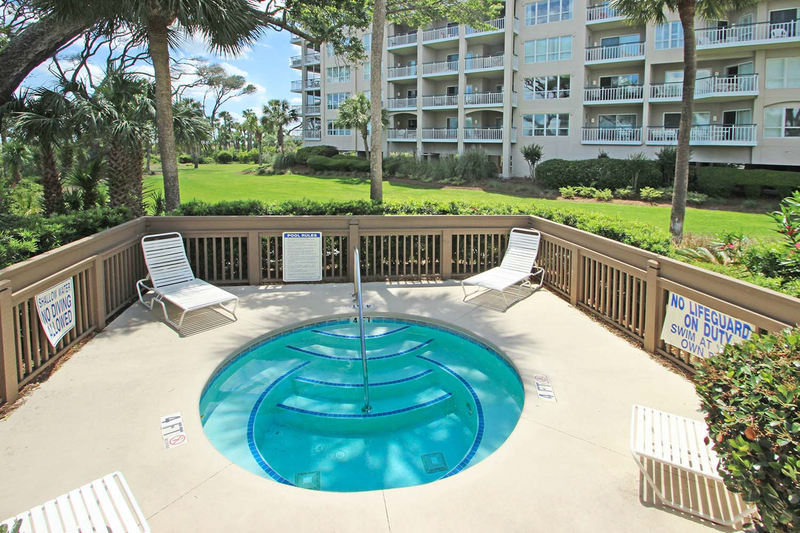 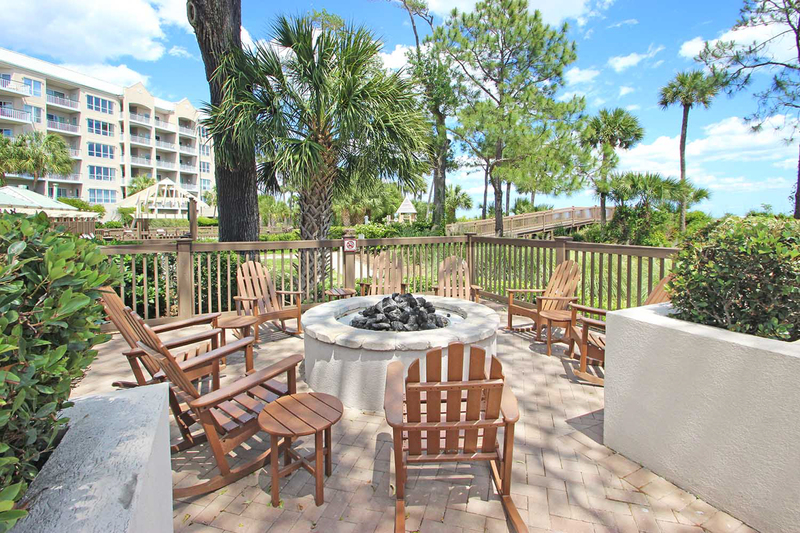 Amenities include an oceanfront swimming pool with adjacent bathrooms, hot tub, large sun deck, and covered gazebo with a grill. 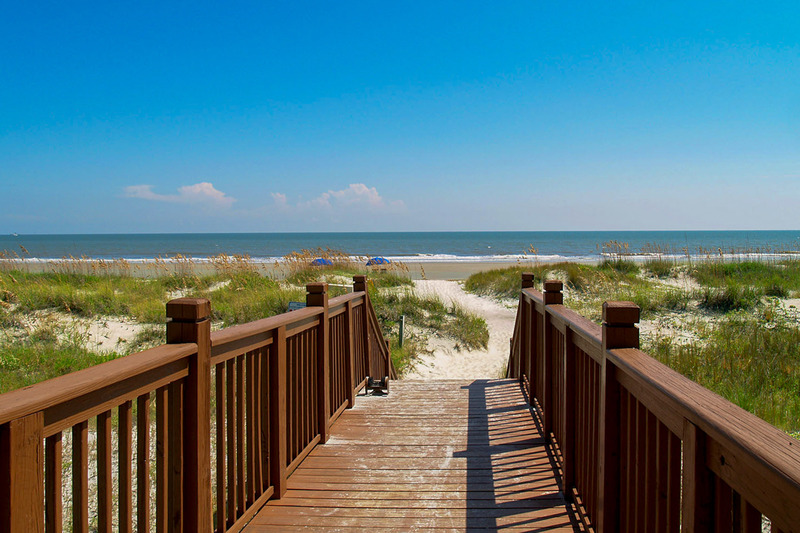 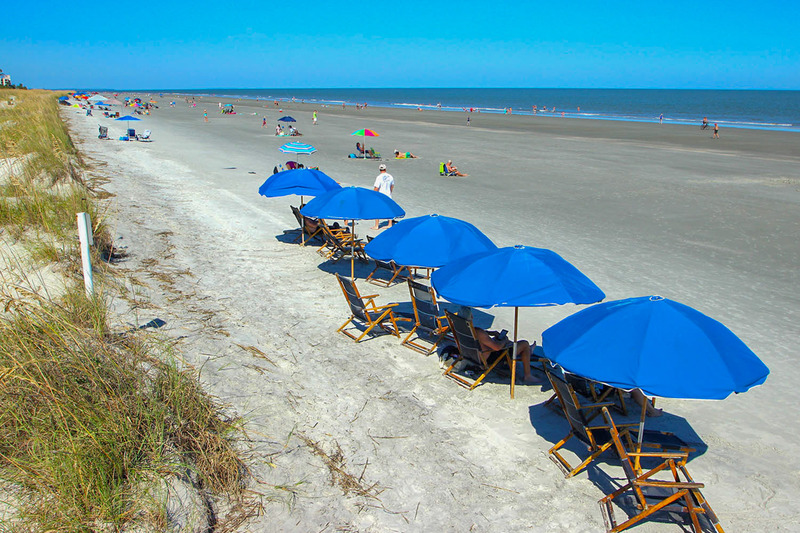 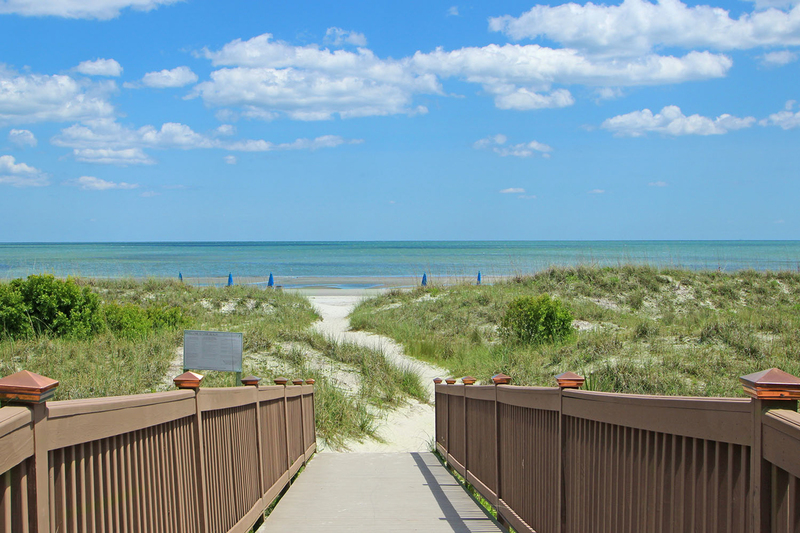 A private boardwalk with showers to rinse off the sand leads directly to the beach.